(NationalSecurity.news) Neither Washington nor Kabul have any idea how many Afghan National Defense and Security Forces (ANDSF) troops “actually exist,” are ready and available for duty and whether they can even defend their own nation, according to a top government watchdog in a report to Congress. 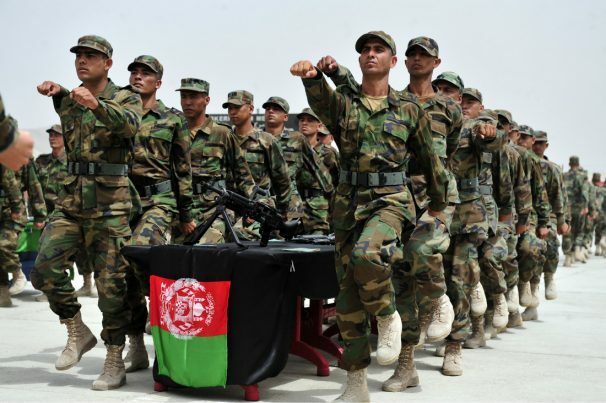 As reported by Breitbart News, the revelation comes as the U.S.-backed ANDSF – which is comprised of troops and police forces – fights to reverse recent gains made by resilient Taliban forces, as well as overall security deterioration throughout the country blamed on other groups like ISIS and al Qaeda, among others. In its most recent quarterly report to Congress, the office of the Special Inspector General for Afghanistan Reconstruction, or SIGAR, says that data on the ANDSF’s total manpower is not known to either U.S. or Afghan defense officials. After nearly 15 years of U.S. military training, along with an investment of tens of billions in taxpayer funds, Afghan defense and security forces still “face challenges,” the IG noted. SIGAR was appointed by Congress to keep tabs on the multi-billion effort to rebuild Afghanistan, Breitbart News reported. About one year ago, SIGAR reported that there were numerous issues with ANDSF personnel, in particular a lack of reliable data regarding manpower, U.S.-funded payroll and overall capability. In February, then-commander of U.S. and NATO forces in Afghanistan, Gen. John Campbell, told the Senate Armed Services Committee that Afghan security forces suffered from gaps in capability, especially in the areas of intelligence-gathering, aviation and weapons operations. “Those capability gaps notwithstanding, I still assess that at least 70 percent of the problems facing the Afghan security forces result from poor leadership,” he testified. NationalSecurity.news is part of the USA Features Media network. Check out our daily headlines here. Tagged Under: Tags: Afghan National Army, Afghanistan, taliban, U.S.